I’ve been talking to a lot of folks over the last few months people who have left jobs at blog networks, others who were considering it, and really I’ve found this rule of thumb to be so true. 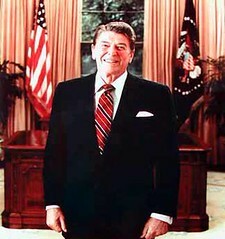 Ronald Reagan said that if he can agree with someone 80% of the time then he was solidly with them. And recently Matt Blumberg hit the nail on the bud when talking about this in a working relationship. …this 80% rule is very true in running a business as well. You can’t expect your employees to agree with 100% of your decisions. But your employees also realize that they will never agree with 100% of their company’s decisions. At about the 80% rule, with enough transparency around decision-making to make the missing 20% at least seem rational, you have a winning formula. Once you step outside the 80% barrier its time to move forward with something new.